Scientists at the Sloan Kettering Institute are investigating how chromosome changes underlie the development of follicular lymphoma. Follicular lymphoma is a slow-growing yet incurable form of non-Hodgkin lymphoma. New research is shedding light on the molecular causes of this type of cancer. Scientists have identified a gene that functions as a tumor suppressor. Loss or inactivation of this gene promotes cancer. About 30% of people with follicular lymphoma are missing a portion of chromosome 6. This genetic abnormality is associated with a worse outcome. Scientists have identified a gene on that portion of chromosome 6 that functions as a tumor suppressor. Cancers missing this gene may be vulnerable to certain treatments that block the action of another cellular actor called mTOR. These drugs are being tested in clinical trials. Cancer cells aren’t overly attached to their genetic inheritance. They’ll gladly give up genes, proteins, even whole sections of chromosomes if it helps them achieve their single-minded goal: reproducing without end. About 30% of people with follicular lymphoma, a type of cancer that affects B cells in lymph nodes, are missing a portion of chromosome 6. This genetic abnormality is associated with a worse outcome. Scientists have known this for decades. What has been less clear is why lymphoma cells are prone to losing this part of their genetic instruction manual. What do they get out of this loss? New research from scientists at the Sloan Kettering Institute is helping to solve the conundrum. By systematically testing each gene on that part of chromosome 6, they homed in on one that makes a big difference to these tumors. The discovery opens up novel avenues to treatment. If you can understand why tumors like to get rid of this gene, then maybe you can use this trait against them. “If you can understand why tumors like to get rid of this gene, then maybe you can use this trait against them,” says cancer biologist Hans-Guido Wendel, the lead author on a new study published in Science Translational Medicine. The research is bringing fresh insights to a disease that is understudied yet all too common. To tease apart which genes on chromosome 6 were the ones whose loss made a difference, the team of researchers — including former SKI postdoc and first author Elisa Oricchio — used a technique called RNA interference. This allowed them to systematically “knock down” each of the 81 genes in laboratory models of the disease. 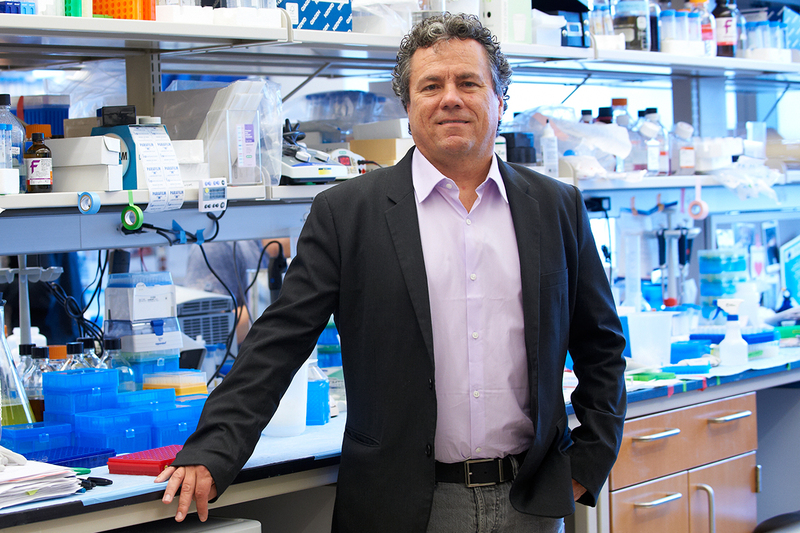 “We asked which of those genes, if you inactivate them, produce tumors,” Dr. Wendel says. They identified several. The one they are reporting on in this paper is called sestrin. The cell takes a break, in other words. Later, when conditions improve, sestrin turns back on and protein synthesis resumes. If sestrin is missing, cells don’t get this break. They keep churning out new proteins even though DNA damage may be present. This is what provides tumor cells with a competitive advantage. They keep growing while other cells become sleepy. Our scientists study the molecular and genetic determinants of cancer predisposition, tumor development, and metastasis. By showing that the loss of sestrin supports tumor growth, Dr. Wendel and his colleagues demonstrated that sestrin is a bona fide tumor suppressor gene. These genes normally help prevent disorderly cell division. When they are lost or mutated, they can lead to out-of-control cell division, and ultimately cancer. The most well-known tumor-suppressing gene is p53, which gets switched on immediately after DNA is damaged, say, from a sunburn. The protein made from this gene helps cells pause division and repair the damage. Cells with a mutated p53 gene do not pause when their DNA is damaged. Instead, they continue dividing and accumulate more damage as a result. This is why p53 is one of the most commonly mutated genes in cancer. Curiously, p53 is rarely mutated in follicular lymphoma. Instead, more commonly, these tumors lose sestrin. The sestrin protein sits in a pathway between p53 and another protein, called mTOR: p53 activates sestrin, which activates mTOR. This last stop is a master regulator of cell growth and proliferation. “Basically, on a cellular level mTOR tells the cell, ‘Hey, we’ve got enough food. There’s nothing bad happening. Let’s grow and divide,’ ” Dr. Wendel says. Because cancer’s modus operandi is to divide with abandon, cancer cells need some way of keeping mTOR on — even when all signs say that they shouldn’t. Any self-respecting tumor cell has to figure out a way to keep this pathway on. Losing sestrin is one way that follicular lymphoma cells do it. But the loss is a double-edged sword. The increased dependency on mTOR makes these cells vulnerable to drugs that specifically block the mTOR protein. Dr. Wendel and his colleagues showed that cells lacking sestrin were much more sensitive to an mTOR inhibitor called RapaLink. 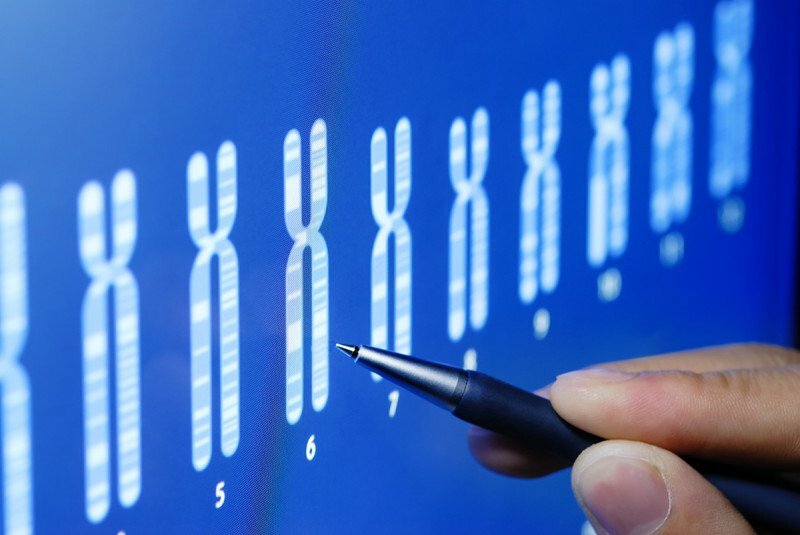 In addition to the roughly 30% of follicular lymphomas that lose sestrin by dumping part of chromosome 6, another 10% of cases have a version of sestrin that is semipermanently switched off. This silencing occurs through an epigenetic mechanism: A protein called EZH2 causes DNA to be coiled up so tight that sestrin gene expression is shut down. In these cases, treatment with a drug called an EZH2 inhibitor was effective at restoring sestrin function in the laboratory models. While EZH2 inhibitors are not yet approved by the Food and Drug Administration, they are in clinical testing. One has received a Fast Track designation. This is welcome news for people with follicular lymphoma, the second most common type of non-Hodgkin lymphoma that predominantly affects older adults. The disease is slow growing but currently incurable. The main therapies are an antibody treatment and chemotherapy. Drugs that block mTOR are also being explored to treat the disease, but resistance is a perpetual problem. New therapies are badly needed. Progress in this area has lagged because not many researchers study follicular lymphoma and historically there have not been good experimental models. With support from the Lymphoma Research Foundation, Dr. Oricchio developed a mouse model of the disease that is aiding research. The mouse model can be used to study the disease and also test potential new therapies, as was done here. Dr. Wendel says the new results have immediate therapeutic implications. This study received financial support from the ISREC Foundation, the Anna Fuller Fund, the Swiss National Science Foundation, the Giorgi-Cavaglieri Foundation, the National Cancer Institute, the Lymphoma Research Foundation, Mr. William H. Goodwin and Mrs. Alice Goodwin and the Commonwealth Foundation for Cancer Research, the Center for Experimental Therapeutics at MSK, the National Institutes of Health, the Starr Cancer Consortium, the Geoffrey Beene Cancer Research Center at MSK, the Leukemia and Lymphoma Society, and the Princess Margaret Cancer Centre.